Tue., Jan. 22, 2019, 3:36 p.m.
TUKWILA, Wash. – For the first time in franchise history, Osvaldo Alonso wasn’t on the roster as the Seattle Sounders opened preseason camp. For the first time since 2014, neither was Clint Dempsey. The process of saying farewell to a number of key figures from the first decade of Seattle’s existence has been ongoing for several seasons. But those two notable absences on the first day of camp Tuesday seemed to emphasize the changes that have taken place for a team that’s remained among the MLS elite. While the Sounders are moving on from Alonso and Dempsey – Alonso is now with Minnesota United while Dempsey retired last summer – the club did welcome back a major missing piece. It’s been nearly 18 months since Jordan Morris was healthy enough to play for the Sounders. He missed the end of the 2017 season due to a hamstring injury. He suffered a torn ACL last February during the CONCACAF Champions League and never appeared in an MLS match during the 2018 season. The chilly, gray morning may not have presented the optimal conditions for many players, but for Morris it was perfect. “He was one of the guys that was really excited. All the stuff that kid went through last year, he was super happy to be out here,” coach Brian Schmetzer said. Despite coming off the knee injury, Morris signed a long-term contract with Seattle in the offseason. He said that while the physical rehab of coming back from the ACL injury was difficult, the bigger challenge was showing up at the team’s practice facility every day and not being able to compete. With Morris back, and the eventual return of midfielder Cristian Roldan from U.S. national team camp, the Sounders have very few position questions heading into the bulk of the preseason, which will mostly take place during stints in Southern California and Arizona. Roldan also signed a new multiyear contract with the club in the offseason. 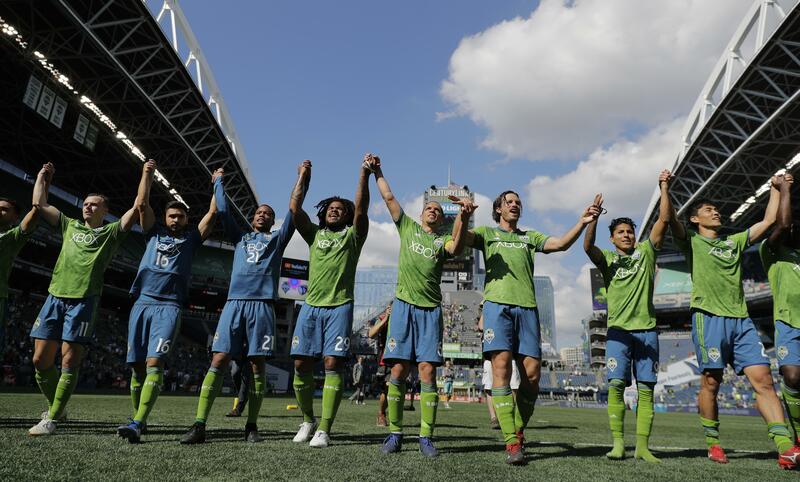 Lagerwey said he believes roughly 80 percent of the spots on the first-team roster are likely already accounted for, meaning Seattle would only be trying to fill out additional depth positions – likely with younger players – with the final few spots. One of Seattle’s few long-term questions could be defender Brad Smith, who is on loan from Premier League club Bournemouth as part of a deal that goes until the summer. Published: Jan. 22, 2019, 3:36 p.m.